We have vast experience of assisting foreign investors in Thailand, private individuals and corporate clients, with a wide range of Real Estate, Legal and Visa services in Thailand. 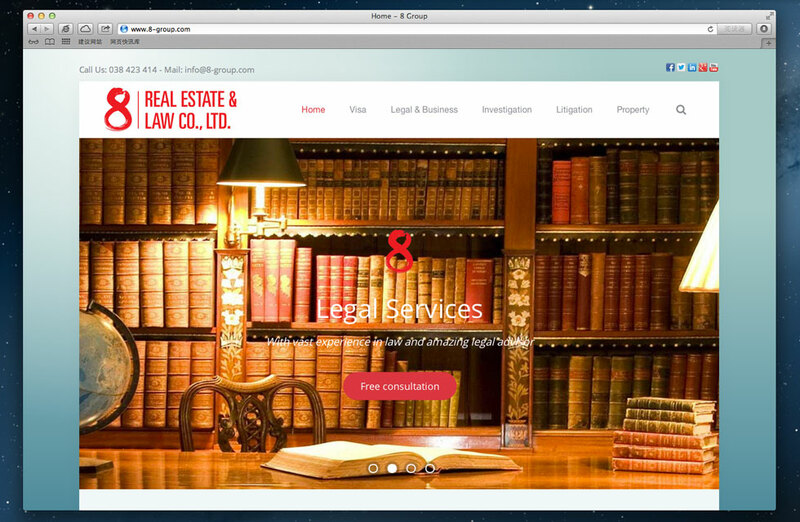 8 Real Estate & Law Co., Ltd. is a professional association of Thai lawyers and foreign business consultants with many years’ experience both in Thailand and elsewhere in Asia. We have come together in order to provide a high standard of advice and service to foreign investors wishing to establish businesses or buy property in Thailand; seeking to make Thailand their retirement home; or requiring legal assistance in one form or another during their stay. Our legal practice areas include, among others, corporate, immigration, labor, family, civil & criminal law. We have extensive experience in property matters, including property holding structures, land and condominium purchases, and property leases. And our tax and accountancy affiliate is qualified to provide a full range of bookkeeping, accounting, tax advisory and auditing services.